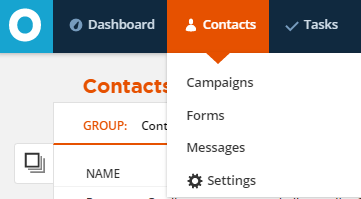 When you schedule an email broadcast in ONTRAPORT- meaning you manually send an email from within your Contacts Collection - the scheduled email that you set to send (either immediately or at a later time/date) pops up in your Queued Messages subcollection found in the Settings menu. Here you can check the status of any scheduled sends, the number of recipients and the scheduled delivery time and date. More importantly, this is where you cancel email sends altogether. You can only cancel an email broadcast that hasn’t yet processed. If you think you’ve scheduled or sent an email erroneously or prematurely, cancel it here immediately.